Why worship? I mean really, why worship? This is the deeper question that is asked by the rapidly growing population of spiritually yearning, institutionally alienated people in Western culture today. This group includes people with no religious preference and “nones”; but it also includes a multitude of formerly active church members who are stepping further and further from regular worship attendance. Worship design will never be able to get on the right track unless it answers this fundamental question. Church leaders have been so preoccupied with how to worship that they have failed to really explore why anyone worships in the first place. The conversation about worship in the era of Christendom assumed that we are all religious insiders trying to build consensus about the best way to worship. The game has changed. Church leaders have been so preoccupied with how to worship that they have failed to really explore why anyone worships in the first place. Most people think worship is a waste of time.Yet stripped of all the wordiness and liturgy, dogma and tradition, facilities and symbols, sacred egos and sacred cows, there remains a profound desire for God. Existential anxiety is what drives people to spirituality and compels people to seek God. And it is what motivates otherwise busy people to occasionally show up on Sunday morning at church. Worship is an act of mission. It is the intersection of specific human yearning with relevant experiences of grace. For Christians, it is about experiencing the real presence of Christ. Membership privilege is dead.There are not insiders and outsiders. Everyone is a stranger to grace. The only good worship is worship that works: targeting a public, blessing a person, and giving them hope. The era of church shopping is over. Worship is not about assimilating members but blessing people. Worship is an encounter with Christ, and an encounter with Christ is worship. 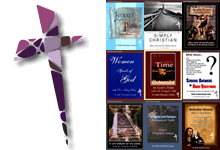 People experience the mystery of Christ in different ways … all legitimate, just different. Jesus can be revealed as spiritual guide, perfect human, promise keeper, new being, healer, vindicator, or shepherd. Worship is a total Sunday morning experience. From humble hospitality, through life-shaping communion, to significant mentoring.The real presence of Christ must be in each step. Sunday morning worship is a microcosm of a lifelong disciple. Meeting Christ, experiencing Christ, growing in Christ, walking with Christ, living like Christ. Worship and lifestyle are mixing and merging today in unexpected ways. The challenge for worship design is not in music style or liturgical format but in offering distinct mission-targeted choices to bless different lifestyle segments in your community. 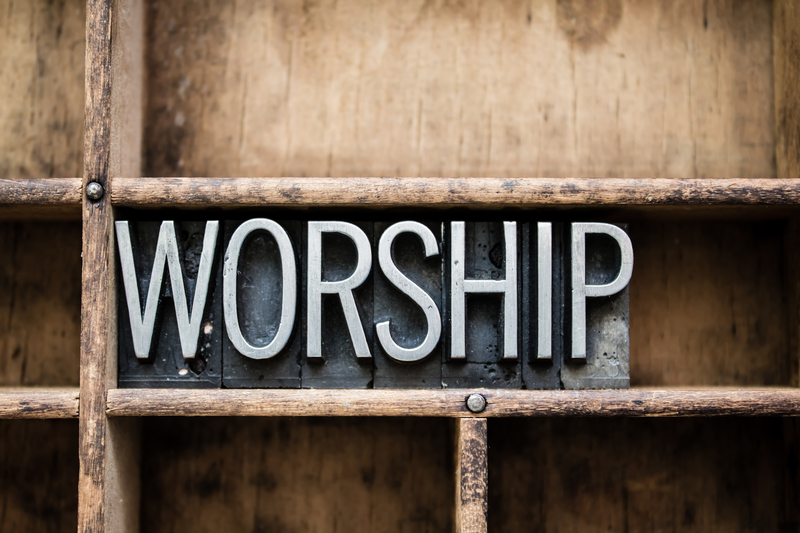 In a world of diversity, the only “good worship” is worship that works. Paul says that good worship is whatever motivates a seeker to confess with their lips that Jesus is Lord, and believe in their hearts that God raised him from the dead. So long as seekers are equipped to love kindness, do justice, and walk humbly with Jesus, worship is a success! God’s power is revealed to specific people at the right time, in a relevant way, with lasting results. You can help or hinder the process. God will hold you accountable for the one or the other! This means that the “Sunday morning experience” must be more carefully planned than ever before. Set aside whatever you thought you knew about “good worship” and open yourself to worship in the postmodern world that is radically different than anything we have expected or experienced in six hundred years of modernity and denominationalism. This article is adapted from Bandy and Holmes’ book Worship Ways: For People Within Your Reach (Abingdon Press, 2014), which lays out seven categories of human need and shows how different approaches to worship can help worshipers experience God as an answer to those needs, with permission. 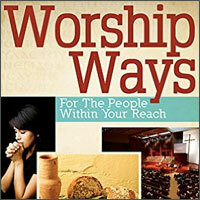 Worship Ways can be purchased from Cokesbury or Amazon. Lucinda S. Holmes operates InConnexion Coaching and Consulting Services at www.lucindaholmeskc.com. She is a certified trainer with the Arbinger Institute and co-author of Worship Ways for the People Within Your Reach.